If you get excited by cutting edge espresso machines and brew methods, then you’re probably familiar with the basics of flow profiling. Where most espresso machines have a set maximum flow rate as a result of the size of their internal plumbing, some allow you to control flow rate. Machines like the La Marzocco GS3 MP have been doing this for a very long time, and newer machines like the Dalla Corte Mina have added cutting-edge tech to make the process that much more scientific. It’s easy to get excited about high tech, but what’s the purpose of flow profiling? Any implementation of flow profiling is, in some way, trying to make up for how inconsistently ground coffee behaves when water hits it. Consider pre-infusion: by simply reducing the amount of pressure applied to the puck of coffee for the first few seconds of your extraction, you can vastly improve the quality and consistency of your shots. Flow profiling provides a similar benefit but with a far greater degree of control, and it’s often used in a very similar way. Many baristas use flow profiling machines to slowly ramp up flow during the beginning of the shot. This, in effect, also ramps up the pressure because the pressure at the puck is a product of resistance and flow. As flow increases, so does pressure. This means you can dial in your pre-infusion not just in terms of duration, but in terms of intensity! Since different coffees and different roasts are more or less soluble, and therefore provide more or less resistance, this allows you to tailor your extraction to the coffee. As your shot continues the puck of coffee will become more soluble. On a normal espresso machine, this means that the flow rate would increase because the resistance of the puck is dropping. This higher flow rate can cause turbulence at the puck which can disrupt the bed of coffee and lead to an uneven extraction. On a flow profiling machine, baristas will generally use a ramp-down toward the end of the extraction to compensate for this, ensuring that the flow rate through the puck remains more consistent over the entire extraction. This means you avoid that turbulence and maintain an even flow of water through the entire puck. You’ll see these two techniques used by just about any coffee shop or barista operating a flow profiling machine, but there’s a whole world of profiles and opinions out there. If you enjoy experimenting with coffee, this is what makes flow profiling such a fun and fulfilling tool, and what makes machines like the La Marzocco GS3 MP and the Dalla Corte Mina the end-game choices of passionate home baristas. What do you think? 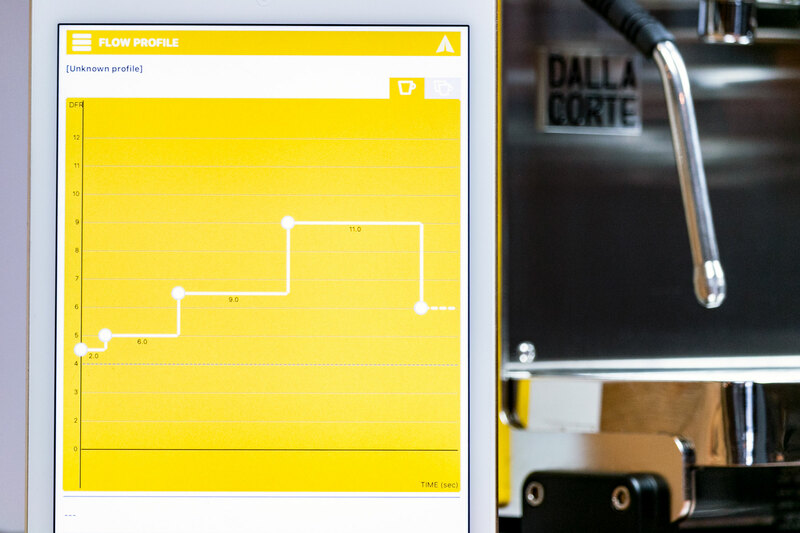 Is flow profiling the future of espresso? What’s your favorite flow profiling machine? Let us know in the comments below.